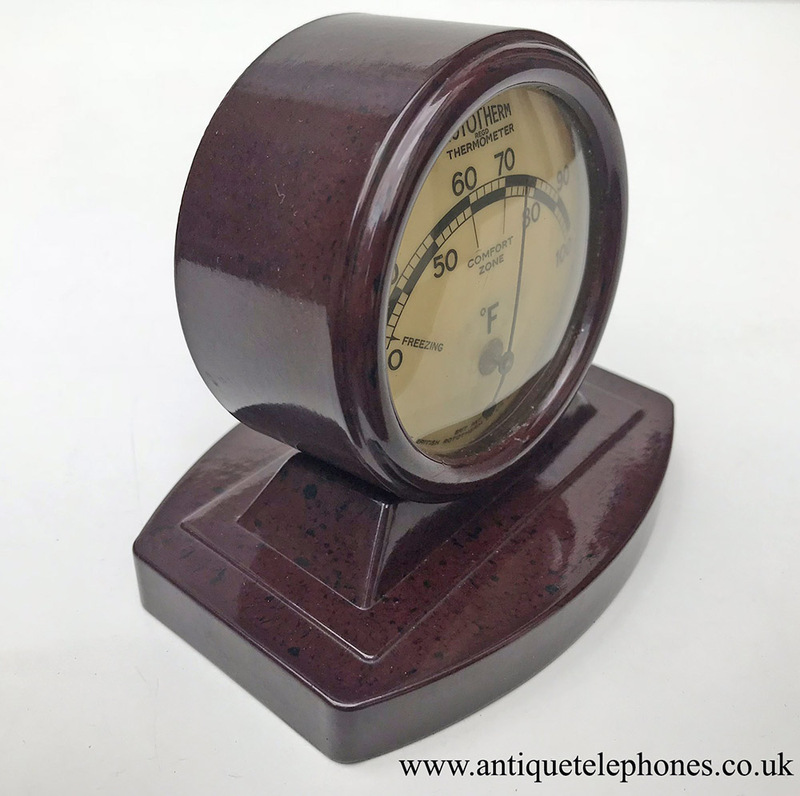 Red Brown mottled Bakelite Rototherm Thermometer. 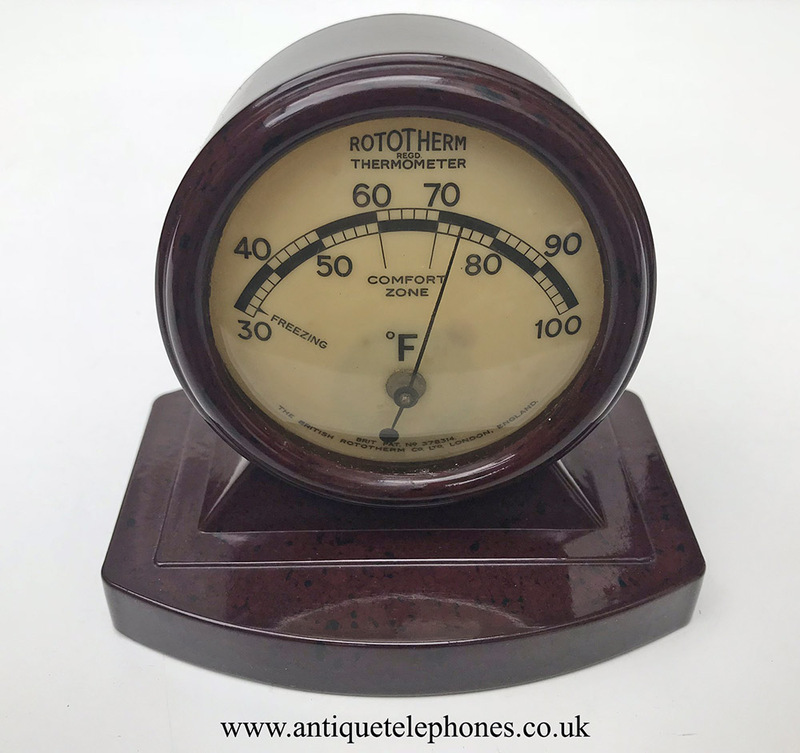 << Back Red Brown mottled Bakelite Rototherm Thermometer. 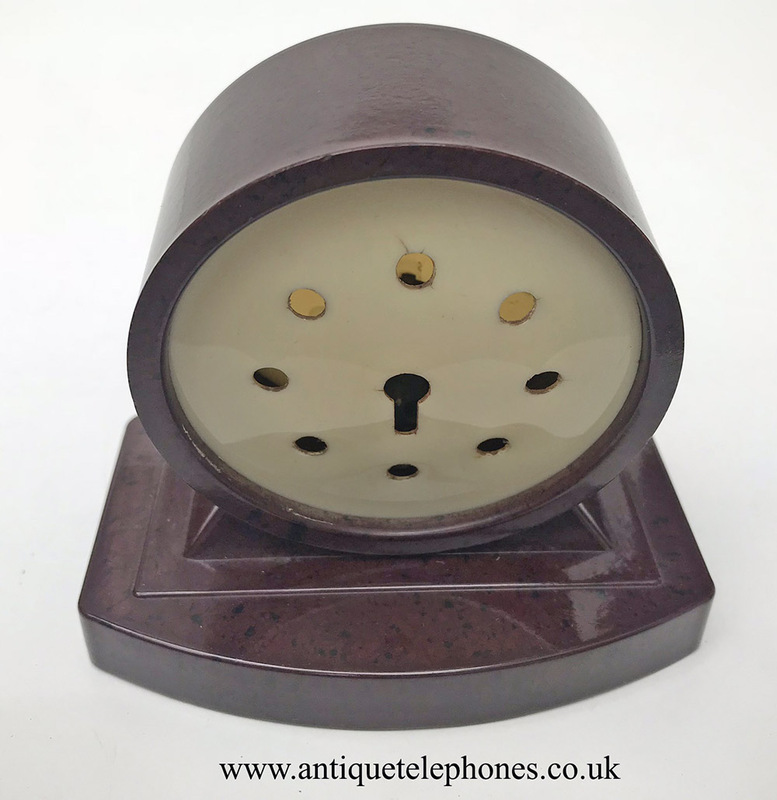 A stunning little desk or mantle item. 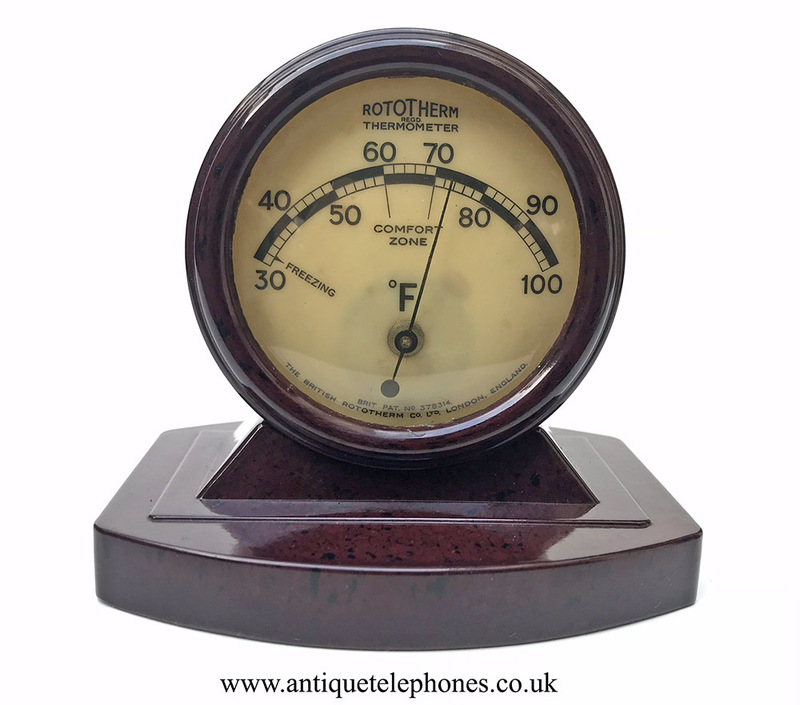 All original Bakelite Thermometer. I have stripped it down cleaned and polished and re assembled. 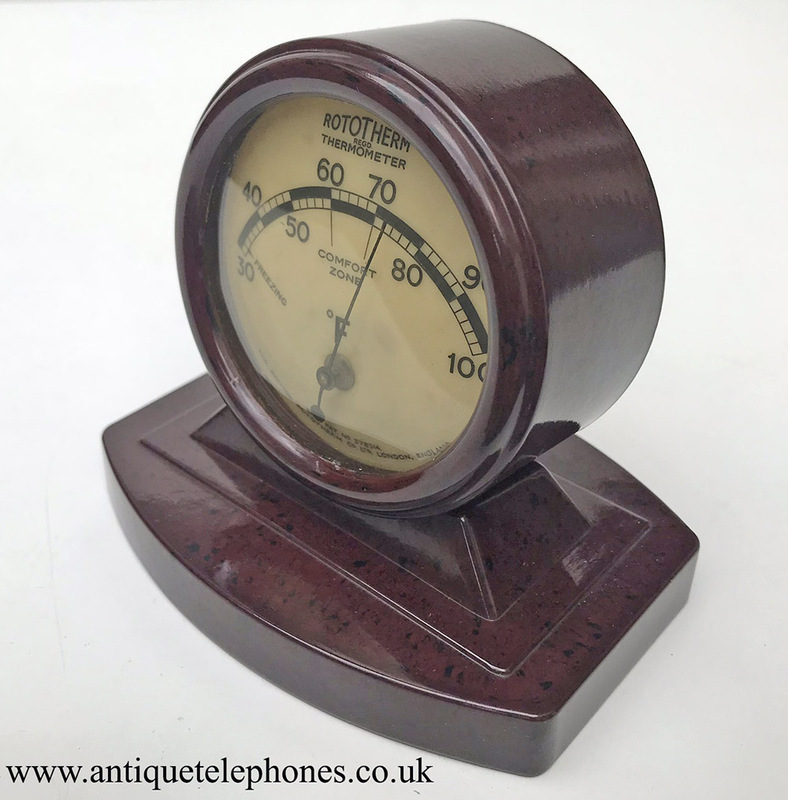 I know a few telephone collectors and have collections of these. 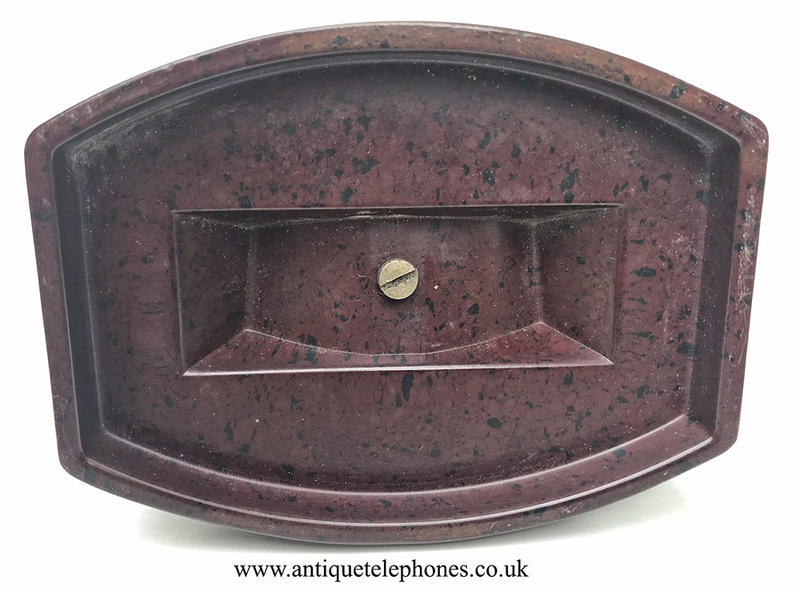 10cm wide x 9.5cm high x 7.5cm deep.